Mom was looking for a new project to work on, so we flipped through magazines and books looking for inspiration. 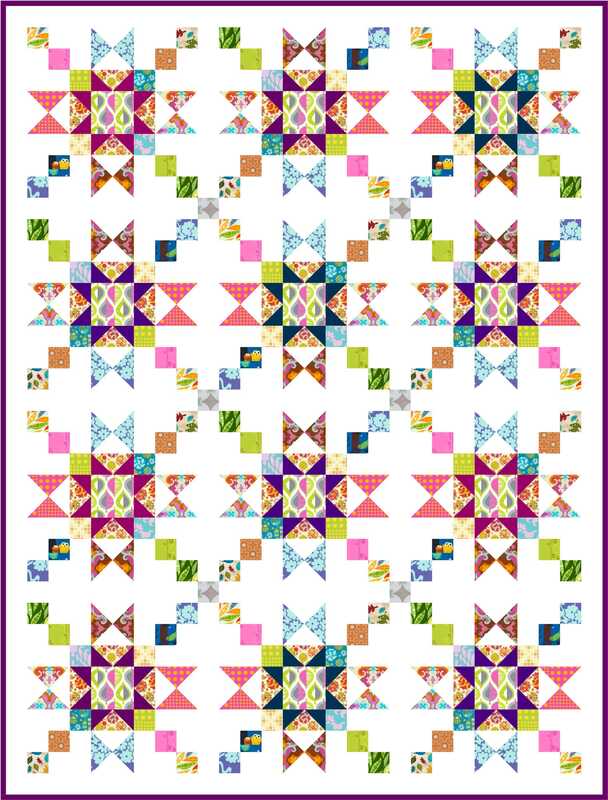 I came across a lovely possibility in Fons & Porter’s Best of Love of Quilting magazine (also found in the August/September 2009 issue of Love of Quilting). 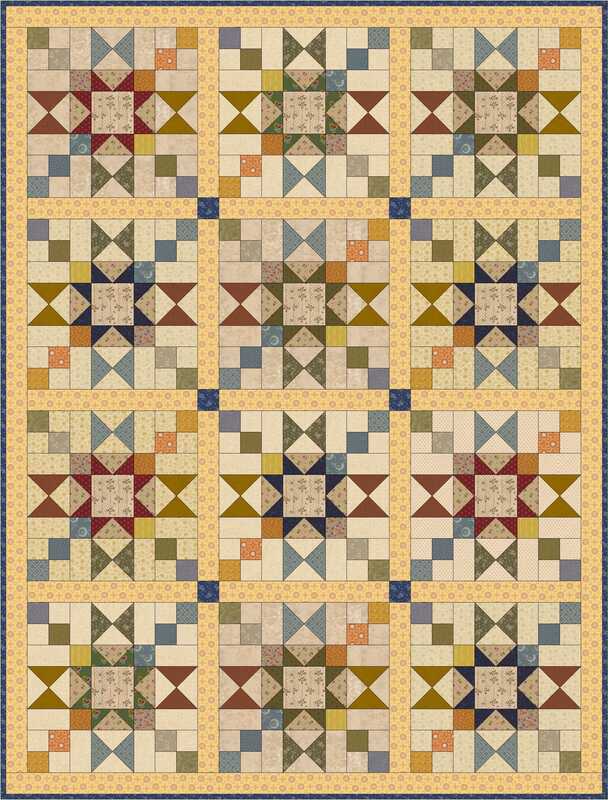 It’s called Granny’s Stars, and you see a beautiful version here, in colors that are very true to the original quilt pattern. Of course, I hate to follow patterns. Applique isn’t really my thing, either. As I looked at the photo in the magazine, I realized that one relatively small design element increased the difficulty level, and with a teeny little change, almost unnoticeable in the finished design, it became a much easier project. 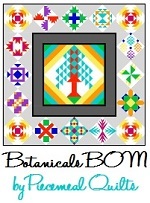 In the process, I did some searching to try to find if there was a traditional block in this design. 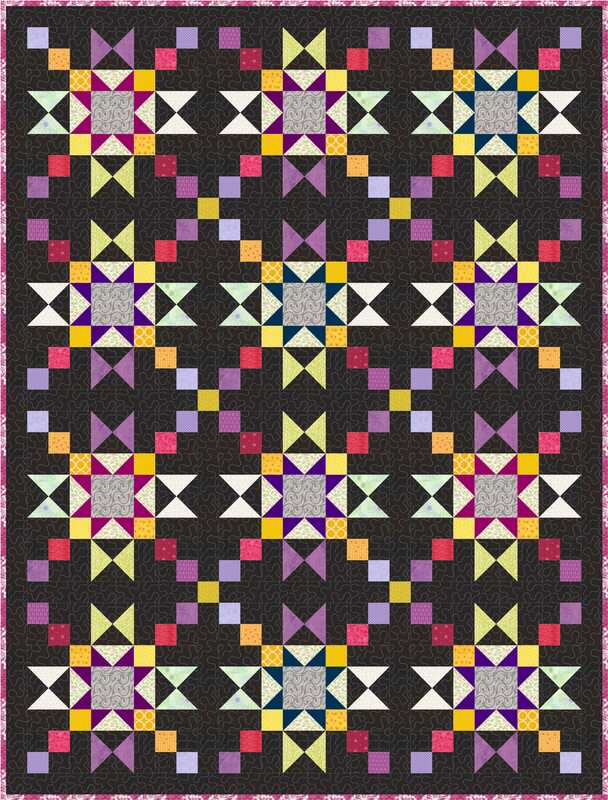 I found a block from 1936 that is almost identical to Granny’s Stars, called Arrowhead. Side by side – see the differences? 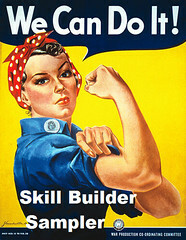 This variation allows you to use the basic components Jeanne and I have covered so far in the Skill Builder Series to create the block. 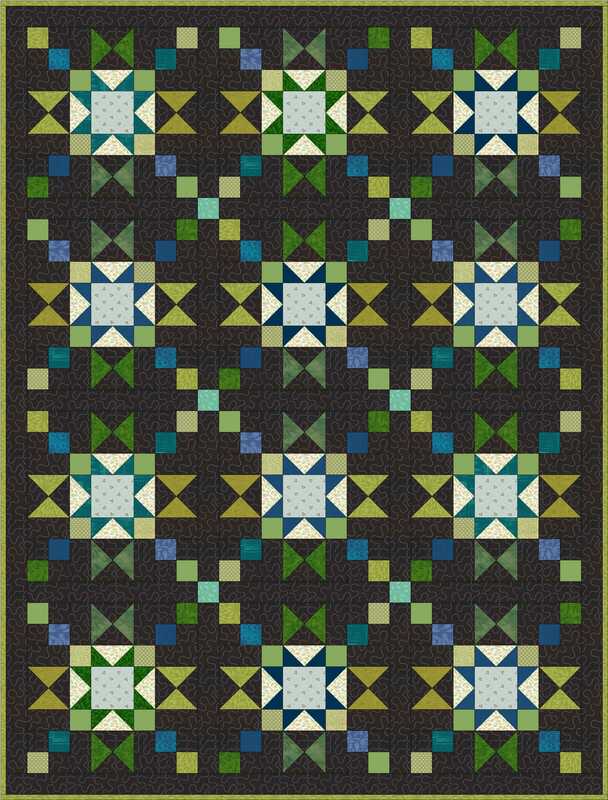 If you can make a nine patch, flying geese, and quarter square triangles, you can do this block. If I had to put a skill level to it, I’d call it Adventurous Beginner. I actually have nearly all of the blocks done so far for the Test Your Skills Sampler. I have to make two more and then I’ll be caught up. 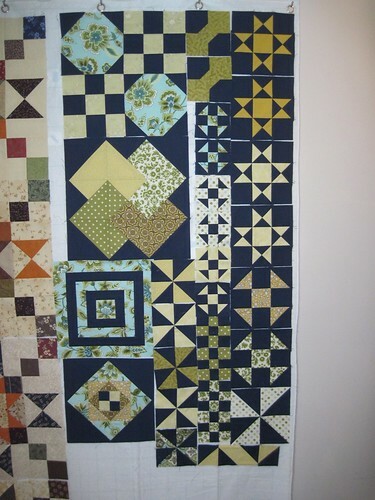 Funny that I’m behind on making blocks for MY OWN quilt along. This weekend I made 21 blocks. Yep, I was that far behind. Not good. Did you get any fabulous Black Friday deals? 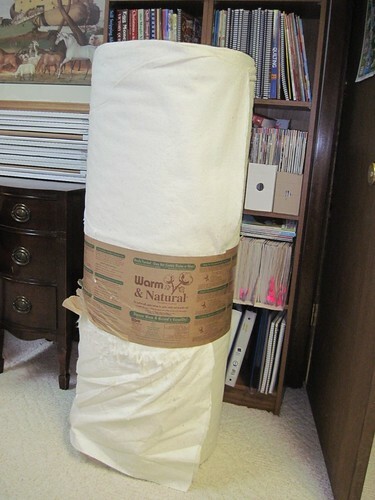 My mom braved the crowd at JoAnn Fabrics and scored this full roll of Warm & Natural batting. It’s regularly $520 (that’s 40 yards at $13 a yard! ), but she had a 50% off coupon, plus a 20% off your total purchase coupon (or was it 25%? ), so she paid about $200. 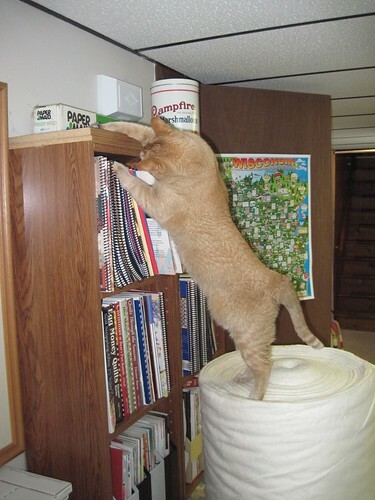 …and a step toward the top of the bookshelf – and the toy mousie residing there! I know, that cat has me wrapped around her extra toes. What a GREAT deal your Mom got! 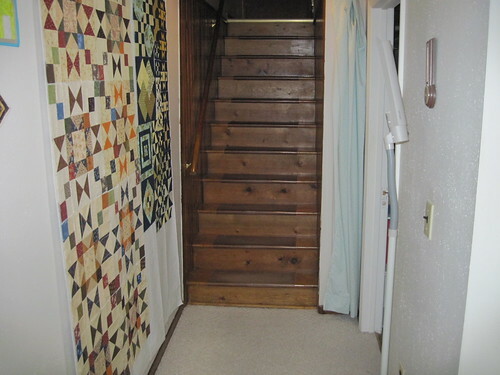 I went there later with my aunt and cousin’s wife and it was a crazy long wait for us to get our $1.49/yd flannel cut. But worth the wait! 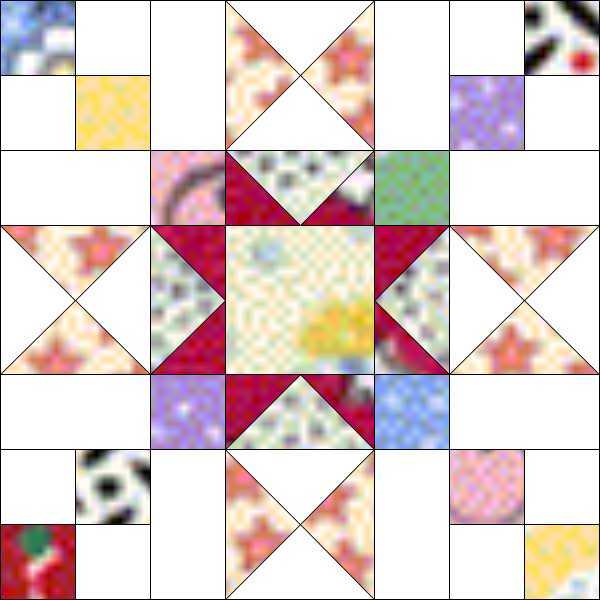 That’s a great block – I love it!! 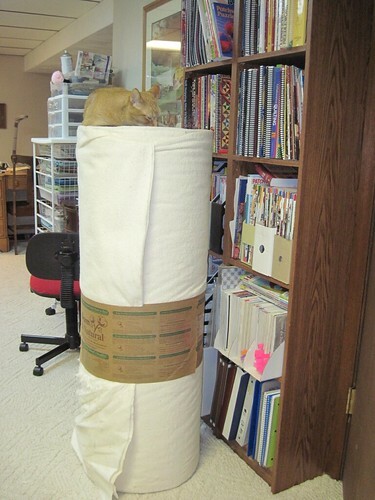 Your mam got a wonderful deal on the wadding and I’m sure Buttercup appreciates the effort required to get it home! Thanks for inspiring me to continue making variations! 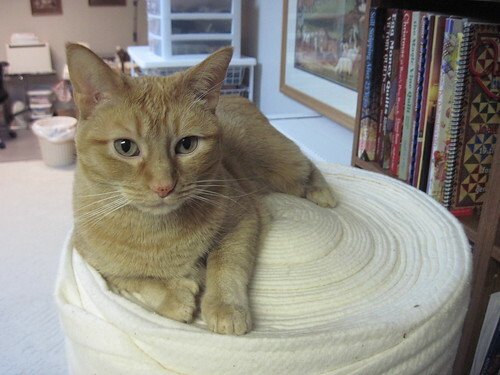 I almost bit on that big ‘ol roll of batting with the coupon, too, but then realized I didn’t have anywhere to put it! Totally in love with Buttercup — she is too cute! i avoid black friday shopping like the plague, but we were in Madison and i wanted more of the Daisy Mae line, so i went and dragged Ben and Henry along. blech! we did get a good deal on a recordable book for Henry. and i left half of the daisy mae line there and got more sugar creek instead. I don’t know any cats like that. At all. Certainly not the one who is sitting on my legs right now. OMG I was about to leave a comment about the arrowhead (a block I have loved for awhile now) until I saw the Warm & Natural roll. DROOL. 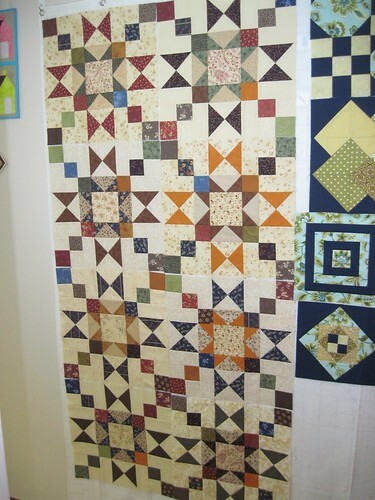 That just makes me want to finish about 8 quilts right now!!! 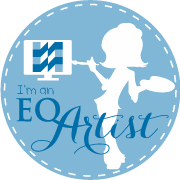 I just got your updated post on organization but it is password protected. I don’t know where to get a password to unlock it! Any suggestions?